Augustus, Tiberius, Caligula, Claudius, and Nero—these are the names history associates with the early Roman Empire. Yet, not a single one of these emperors was the blood son of his predecessor. In this captivating history, a prominent scholar of the era documents the Julio-Claudian women whose bloodline, ambition, and ruthlessness made it possible for the emperors’ line to continue. 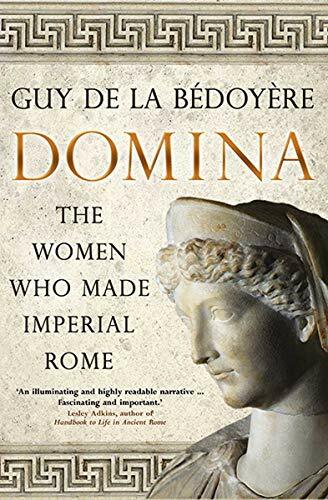 Eminent scholar Guy de la Bédoyère, author of Praetorian, asserts that the women behind the scenes—including Livia, Octavia, and the elder and younger Agrippina—were the true backbone of the dynasty. De la Bédoyère draws on the accounts of ancient Roman historians to revisit a familiar time from a completely fresh vantage point. Anyone who enjoys I, Claudius will be fascinated by this study of dynastic power and gender interplay in ancient Rome.